If you are an experienced or knowledgeable player the last thing you probably want is an introduction to the game of twenty-one. I agree! There are dozens of fine books on the market that will explain and lead the beginner through the rules of this game and I will mention some of these books in a moment. On the other hand, if you need an real introduction to the game you should read the Rules of the Game section first before continuing in this section. Blackjack is a love of mine. This fascinating game of money and chance challenges my mind and allows me to act the role of a secret agent infiltrating foreign territory. Yes, I am a winning player. Yes, I use a number of valid winning methods to exploit this game. No, I haven’t made my fortune yet playing blackjack. I play for the long run. I respect the risks that I am faced with and understanding the concepts of win rates and standard deviation has helped me develop a successful money management1)Or as Norm Wattenberger has said “Betting/Risk”. Norm makes an obvious observation that most counters over-bet their bankrolls resulting in a higher risk than they realize. See Modern Blackjack chapter Plus Four. strategy. I have been able to afford sufficiently large wagers to pay for most of my trips to Las Vegas, Reno, Lake Tahoe, the Caribbean, and other casino locations. I occasionally have some big wins and I occasionally have some long losing streaks. But, since I keep records of each table and/or casino I play, I also know that I have played correctly and have earned approximately 1% of all the money that I wagered. The book that started it all. History of card counting. and the Omega II count. Resources available, Basic Strategy, Dictionary, System comparisons, History and Terminology. General study of the game. One of the top-rated unbalanced counts! Card counting and team play. Basic strategy and card counting drills. Card counting and the Hi-Lo system. Single-deck basic strategy and the mathematics of the game. NOTE: Clicking on any book title above will direct you to the appropriate Amazon.com listing. You may also find some of the above books in the online catalog at BlackjackReview.com. Since 2000, several other excellent books have also been published that address today’s game. Check out the book review section of this book for additional recommendations. Before aspiring players attempt to explore the controversial ideas of the effects of non-random shuffles I believe they should have a firm understanding of the traditional aspects of the game. These include the basic strategies of play, the effects of rule variations and the theory behind card counting. Players should be able to recognize when a game is good or not from a traditional point of view. In addition, players should have developed a proper money (or risk) management plan and understand the concepts behind win rates, expectation, and standard deviation. 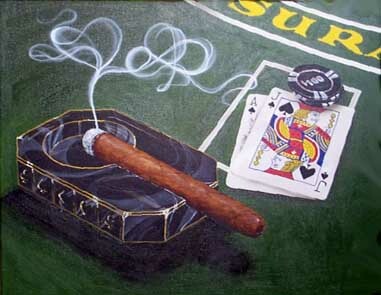 Players should have also implemented self-discipline techniques in their play, including the keeping of documentation for each table or casino played. And last but not least, players should understand that to be ultimately successful at the tables they need to be able to manipulate casino personnel into making a game favorable or at least into continuing a favorable situation. EDITOR NOTE: The following section is somewhat dated, since it was originally written in the 1990s, and needs to be rewritten. Keep that in mind while reading. I may just remove all mention of TARGET here as it belongs in the collection of the many worthless non-random blackjack clump strategies of the past. There is no scientific evidence to validate non-random shuffle and card clump strategies such as TARGET4)The effects of non-random shuffles, insufficient shuffling, and the clumping of cards became one of the major areas for blackjack research and study in the 1990s. Although valid traditional means already existed to exploit these types of games none were as controversial as the TARGET system invented by Eddie Olsen, the publisher of Blackjack Confidential. As taught to me by Jerry Patterson, TARGET is a table selection method and playing style that claims that exploitable biases exist in the real world of casino play due to the effects of non-random shuffling and the clumping of cards. Since its original marketing by Jerry Patterson in 1981, TARGET became one of the most controversial blackjack strategies to ever have been marketed. A number of heated debates, reviews, and analyses could be found in past issues of Arnold Snyder’s Blackjack Forum magazine. Information about TARGET was first mentioned to the public in Jerry Patterson and Eddie Olsen’s book Break the Dealer, which was published in 1986. TARGET IS NOT RECOMMENDED. The inability to prove a particular strategy or system by mathematical means or by computer simulation is valid grounds to label these types of methods controversial. As a former space system avionics engineer I was in the daily business of developing and using simulation results. However, I also know that computer simulations are only an approximation to real world events, and they can be misleading due to erred assumptions and faulty algorithms. Like many others, I have attempted to validate these methods mathematically and by running non-random computer simulations. However, I have only been able to prove that detectable dealer biases may exist in the real word5) In 6-deck simulations performed using John Imming’s Real World Casino: Universal Blackjack Engine software, I had determined that insufficient shuffling may have a negative impact on a basic strategy player’s expectation. Although these simulations were worst case scenarios they may not have been unrealistic for some games, especially during the first few shoes of a game with new cards or in games that repeatedly introduce old cards back into play in new deck order. I believed that these long term dealer biases could have as much as a 0.25% negative impact on a player’s long term win rate. The thought was that players should either not play during these periods or use other strategies. Some evidence even suggested that playing position may have had a small effect on your expectation in severely insufficiently shuffled games. . In the early 1990s, I thoroughly studied the TARGET techniques and methodology and used them in the casinos with and without card counting6)I took Jerry Patterson’s TARGET class as well as his advanced Blackjack Enrichment class during the period 1989-1990. My review of TARGET lasted approximately one year. and to be honest, I had good short-term success with TARGET. However, you would probably expect most good players to have success with such a methodology, especially if those players were also card counting. The buyer should realize that these systems have not been proven mathematically or by computer simulation and I personally do not recommend them. It is also my understanding that even the original developer of TARGET (Eddie Olsen) now discounts this method as an advantage technique. Now … back to some traditional thinking. When referring to and discussing specific card counting strategies I often compare them to the Hi-Lo system, which I highly recommend all players consider using. The Hi-Lo system (a single level balanced count) is adequately described in the books Blackjack Secrets and Professional Blackjack by Stanford Wong. However, as any respected blackjack authority will probably tell you, a card counting system is also a personal choice. The player is often told that he must weigh the costs of simplicity versus complexity. If the complexity of a system will cost you more money due to errors and fatigue, then a simpler system is that much more appropriate, even if the more complex system is theoretically more profitable. Other excellent single level counts include the Red Seven, Knock-Out (KO), and Ralph Stricker’s Silver Fox count. If you wish to devote the time and effort to learn an advanced card counting system I would recommend Arnold Snyder’s Zen count which is described in his book Blackbelt in Blackjack or Bryce Carlson’s Advanced Omega count which is described in his book Blackjack for Blood. The bottom line to the player is that if you plan to generally play single- or two-deck games, the extra effort to learn a system such as the Zen or Omega count may be worthwhile. However, if the only games you play are multi-deck games, then the Hi-Lo, Red Seven, Knock-Out (KO) or Silver Fox count may be your best choice.
. Whatever system you select you should verify that accurate playing indices for the most important plays7)See Donald Schlesinger’s article Attacking the Shoe in the September 1986 issue of Blackjack Forum and Michael Dalton’s The Most Important Plays For Card Counters in the Summer 1992 issue of Blackjack Review for important information on these plays. Also, refer to Illustrious 18 and Fab 4 in the dictionary section of this book. These are the plays that provide the most gain from varying from basic strategy. are available and that the system is practical to use in the casino environment. Take a look at the Card Counting System Comparison Chart for additional insight. EDITOR NOTE: The following publications are no longer available but may have online resources. Be sure to check out the recommended links section for other good resources. In its day, Arnold Snyder’s Blackjack Forum was the best card counter’s resource available anywhere. This quarterly publication (published since 1981) gave good reporting of games across the country and was an excellent technical forum for serious card counters. I would highly recommend that all serious players purchase most if not all back issues of this publication. Snyder’s reporting is no-nonsense, technical in nature and was very reliable when it came to card counting techniques and methods. You will also appreciate his sense of humor. Stanford Wong’s Current Blackjack News (published since 1979) is currently the best source for comprehensive rule and condition reporting for most Nevada and Atlantic City casinos. Included are hot tips about playing conditions that may last only a few days or weeks. Stanford Wong seemed to always be on top of the blackjack scene, and strived to get this information to subscribers as soon as possible. If you have an adequate bankroll to do some harm then you will want to subscribe to this newsletter. Eddie Olsen’s Blackjack Confidential (published since 1986) was definitely in the magazine category. This publication started out quite controversially, however, it included good reports of newsworthy blackjack related items as well as reporting that gave players insight into the casino and gaming industry. Of course, blackjack conditions were reported for casinos around the world along with feature articles and methods of play. You could find recommendations based on published casino win rates, player feedback, and casino shuffling procedures. It is interesting to note that past issues of Blackjack Confidential have completely disclosed Eddie Olsen’s TARGET methodology, which was previously marketed, although in a somewhat different format, by Jerry Patterson. This publication improved considerably in its later years with expanded coverage of the games in places outside of Nevada and Atlantic City. This publication also provided excellent blackjack tournament coverage. Robert Gates’s Blackjack Monthly (published from 1987 – 199?) 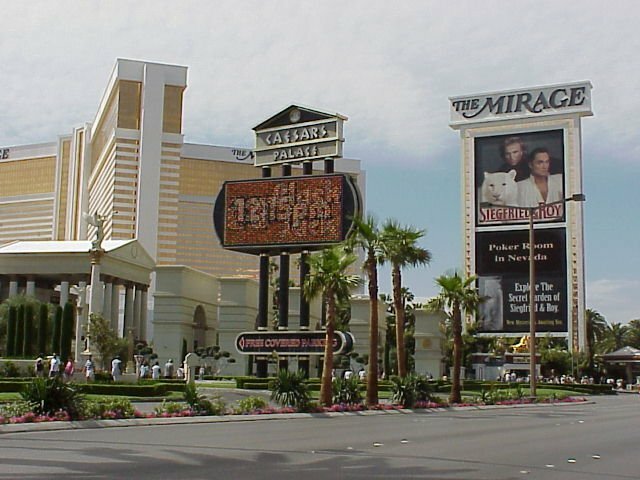 provided good reporting of blackjack conditions in Nevada and Atlantic City and, in my opinion, was very useful for lower stakes players of this era. This traditional style blackjack newsletter also included monthly articles and information on gaining an edge in this game. And, of course, I would be remiss if I did not mention my own newsletter. Michael Dalton’s Blackjack Review (published from 1991 – 1998) provided unbiased and no nonsense reporting for new and experienced players alike. Blackjack Review provided instructional advice for new players to advanced tips and tactics for card counters to player reports of casino conditions across the country and around the world. Although Blackjack Review magazine is no longer published you will find the Blackjack Review Network a great internet resource for blackjack players. 1. ↑ Or as Norm Wattenberger has said “Betting/Risk”. Norm makes an obvious observation that most counters over-bet their bankrolls resulting in a higher risk than they realize. See Modern Blackjack chapter Plus Four. 2. ↑ I don’t use the term controversial in a negative sense here. Controversy has followed the development of blackjack winning strategies for as long as most players and blackjack authorities probably care to remember. Many ideas, techniques and methods that were once considered controversial are now regularly employed by expert players as valid tools of the trade. 3. ↑ I use the term valid here to refer to systems and methods that have been proven to work by mathematical, statistical, or computer simulation means. However, it should be noted that so-called statistical proof given by some system sellers can not be considered valid unless their methods can be repeated by an independent and unbiased group. Those system sellers who refuse to provide a repeatable means of proof for their system can only be considered at best controversial and at worst scam artists. 5. ↑ In 6-deck simulations performed using John Imming’s Real World Casino: Universal Blackjack Engine software, I had determined that insufficient shuffling may have a negative impact on a basic strategy player’s expectation. Although these simulations were worst case scenarios they may not have been unrealistic for some games, especially during the first few shoes of a game with new cards or in games that repeatedly introduce old cards back into play in new deck order. I believed that these long term dealer biases could have as much as a 0.25% negative impact on a player’s long term win rate. The thought was that players should either not play during these periods or use other strategies. Some evidence even suggested that playing position may have had a small effect on your expectation in severely insufficiently shuffled games. 6. ↑ I took Jerry Patterson’s TARGET class as well as his advanced Blackjack Enrichment class during the period 1989-1990. My review of TARGET lasted approximately one year. 7. ↑ See Donald Schlesinger’s article Attacking the Shoe in the September 1986 issue of Blackjack Forum and Michael Dalton’s The Most Important Plays For Card Counters in the Summer 1992 issue of Blackjack Review for important information on these plays. Also, refer to Illustrious 18 and Fab 4 in the dictionary section of this book. These are the plays that provide the most gain from varying from basic strategy.